The most recent edition of the Crime Stoppers television program “Hawaiʻi Island’s Most Wanted” highlights an unidentified man wanted in an attempted bank robbery, a Hilo man wanted on warrants and for questioning, and a Kona man wanted for abuse. The new episode begins airing Friday (January 24). 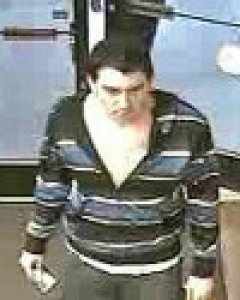 In it, police ask for help in identifying a suspect in an attempted bank robbery in Hilo. Just before 6 p.m. on January 10, he entered the Territorial Savings Bank branch on Makaʻala Street and produced a note demanding money. He then left the bank without any money and was last seen running toward Pōhaku Street. The suspect was described as a Caucasian, in his mid-to-late 20s, about 6-foot-1 to 6-foot-2, about 185 to 200 pounds with short wavy black hair and acne. He was wearing jeans, a blue-and-black striped pullover, and black shoes with red laces. The television program also asks for help in locating a 25-year-old man wanted on no-bail warrants and for questioning in unrelated investigations. Keahi Calvin Sale is described as 5-foot-7, 155 pounds with brown eyes and black hair. He has no permanent address but frequents the Hilo area. He is considered armed and dangerous. 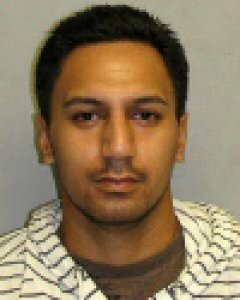 In this latest edition of “Hawaiʻi Island’s Most Wanted,” Officer Patrick Menino also asks for help in locating a 21-year-old Kailua-Kona man wanted for abuse of a family/household member. 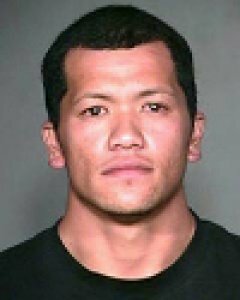 Moala Kuahuia Kaupu is described as 5-foot-11, 185 pounds with brown eyes and short curly black hair. His ears are pierced and he has a scripture tattoo on an inner forearm. 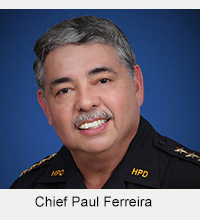 “Hawaiʻi Island’s Most Wanted” is a project of Crime Stoppers Hilo, Inc., which is a partnership of the business community, the media and the police. 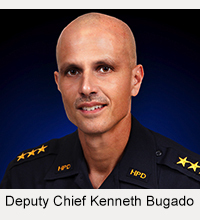 It was inspired by the national TV show, “America’s Most Wanted.” The program airs on Na Leo ʻO Hawaiʻi Community Television Channel 54 on Sundays at 5 p.m. and Fridays at 5:30 p.m. It also airs intermittently on Channel 53.